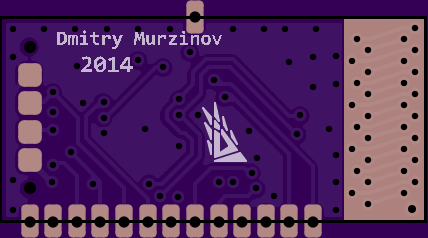 2 layer board of 1.07 x 0.52 inches (27.2 x 13.2 mm). Uploaded: October 20th, 2014 16:10. 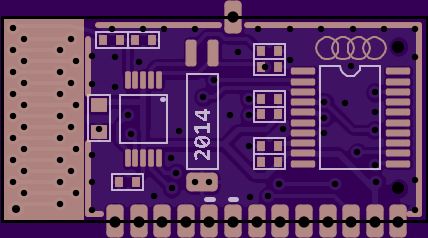 My first tryout for a Tranceiver with the PCB-Antenna. Used TSSOP-20, 9x 0402 and 1x 0603 Component’s Footprints. Ready for seamless Integration in exist system. 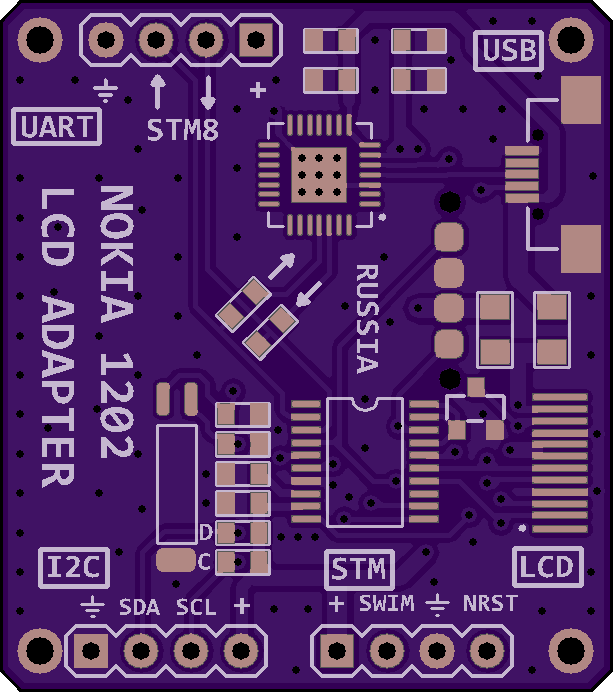 2 layer board of 0.89 x 0.36 inches (22.5 x 9.2 mm). Uploaded: November 1st, 2014 10:01. First release. Need try to real circuit environment. 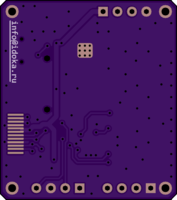 2 layer board of 1.98 x 0.75 inches (50.2 x 18.9 mm). Uploaded: November 3rd, 2014 21:39. CAN-bus shield for Arduino Pro Micro. Also can support for ISO9141 (K-Line). 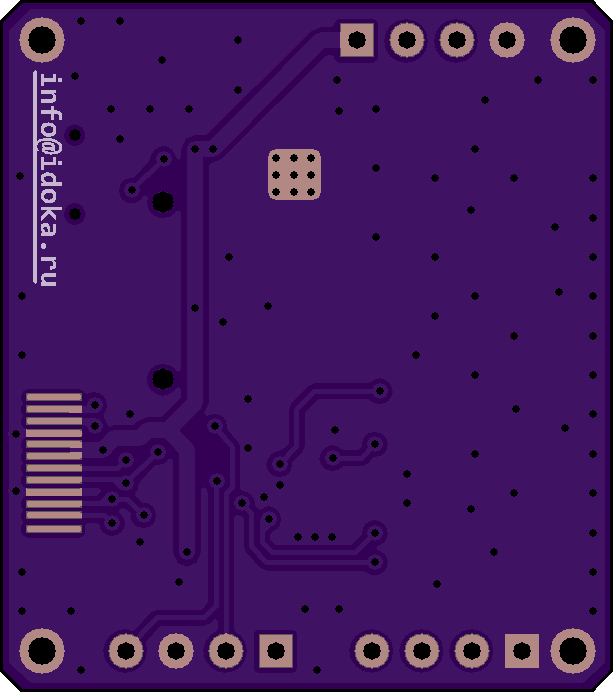 2 layer board of 1.23 x 1.38 inches (31.2 x 35.2 mm). Uploaded: May 22nd, 2015 19:26. 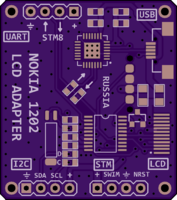 2 layer board of 0.99 x 0.32 inches (25.2 x 8.2 mm). Uploaded: May 22nd, 2015 19:22. 433MHz SAW Filter with SMA connectors. This PCB might using in another Bands, for example for 315MHz band replace filter by B3781 or RF1417D for 315MHz (Keep in mind the different nominals of matching circuit).